Here’s your update on the latest Funzi training programs and the impact we’ve been able to make in people’s lives around the world! Business Lead, a “Micro MBA” program that Funzi created with Hanken & SSE Executive Education has won Gold in the Talent Development category at EFMD Excellence-in practice Awards. The program upskilled migrants arriving to Finland, mainly from Syria and Iraq, and prepared them for the Finnish business environment. The program included mobile learning on Funzi, classroom teaching and mentoring with Hanken & SSE Executive Education, and internships in leading companies in Finland. The program had four main themes: the business landscape and organizational cultureof Finland and Europe, leadership, finance, and the sales and service mindset, which ensured a swift integration of migrants into Finnish working life. From the 38 program graduates, 16 were employed or continued academic studies after the internship. Taking into consideration the difficulty non-Finnish speakers face finding employment in Finland, the results of the program were phenomenal. The Talent Development Gold Award validates Funzi’s knowhow and experience of mobile learning as an integral component in blended learning programs. The Funzi mobile learning approach has earlier been recognized by the industry in the consumer-facing segment at GESS Awards 2017. The EFMD award extends that recognition into the professional development segment. Promise Hub, a new concept to support the growth of digital entrepreneurship and local economies, is getting ready for launch and training their impact team in Nakivale refugee settlement, Uganda! Promise Hub and Funzi are partnering to develop a mobile curriculum that will be easily scaled to support the growth of 10 million entrepreneurs in 30 years. 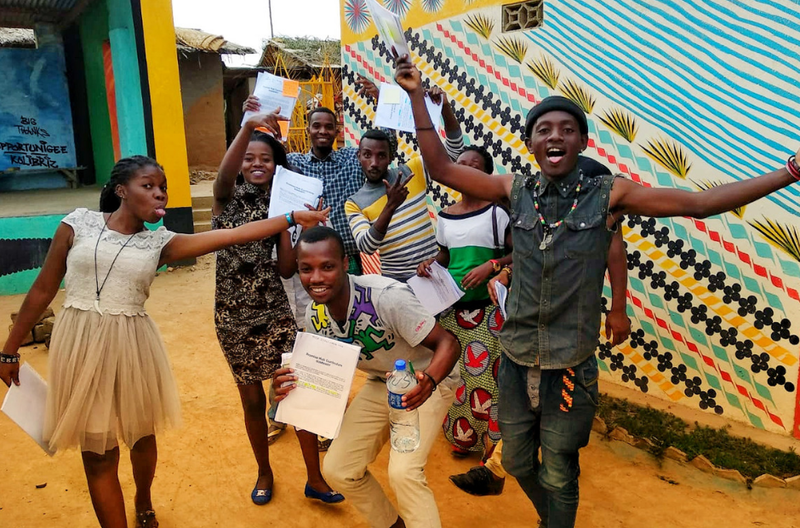 As initial steps in utilizing Funzi mobile learning, Promise Hub’s local impact team have been developing their entrepreneurial, facilitation, and project management skills to lead their hub the after launch. After the promising results of the recent Founder 101 Hub program with ITC and Zimba Women in Uganda, the team at Promise Hub also made use of the Funzi Founder 101 course. Stay tuned to hear about upcoming steps! You can read about the impact team's experience building new skills with the Founder 101 course here! The Funzi Founder 101 Hub program is a complete solution for entrepreneurship training including a mobile course and material for on-site facilitation for your target audience. The program has been developed based on Funzi’s award-winning mobile learning* and blended learning** concepts. Founder 101 Hub enables the development of new entrepreneurial skills and a growth mindset: mobile learning enables learners to study anytime, anywhere, at their own pace, while group sessions deepen the learning with reflection exercises, social collaboration, and practical tasks. Looking for a scalable and cost-effective solution for entrepreneurship training? Get in touch! This year Funzi will be attending and presenting our solution at the AidEx conference in Brussels on the 14-15th of November. Find us at the Finnish Pavilion area at stands D9-10. If you’d like to discuss how you can ensure continuous learning and training opportunities for vulnerable populations, feel free to schedule a meeting with us. Looking forward to hearing from you! Are you unsure about what mobile learning really is and how it can benefit your organization? Read our blog post to find out if mobile learning is the right solution for your training programs.